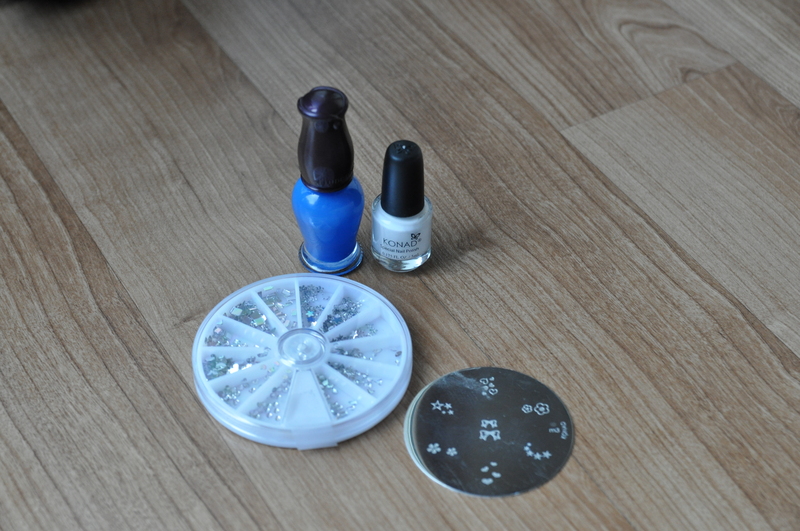 Blue | Nailart for funn! 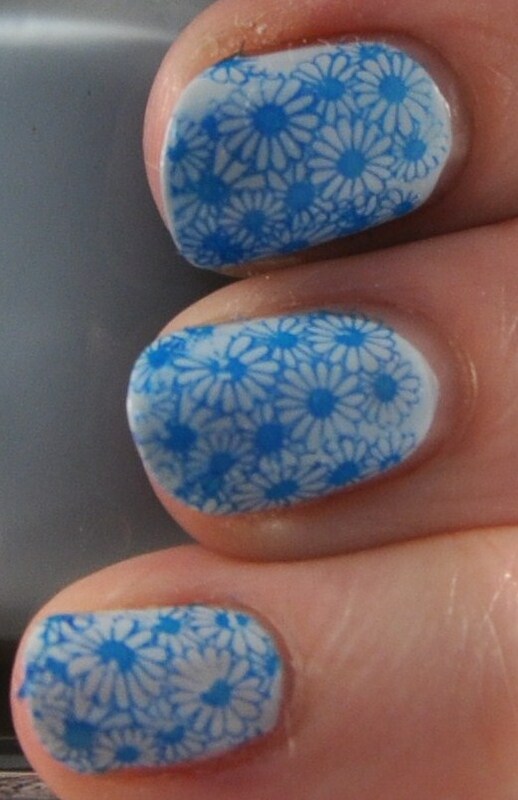 Categories: Stamping | Tags: beauty, Blue, Cheap, Eclipse, Flowers, Konad, Konad plate m56, Korea, m56, nail art, quality, Stamping, Stamping plate, style | Permalink. 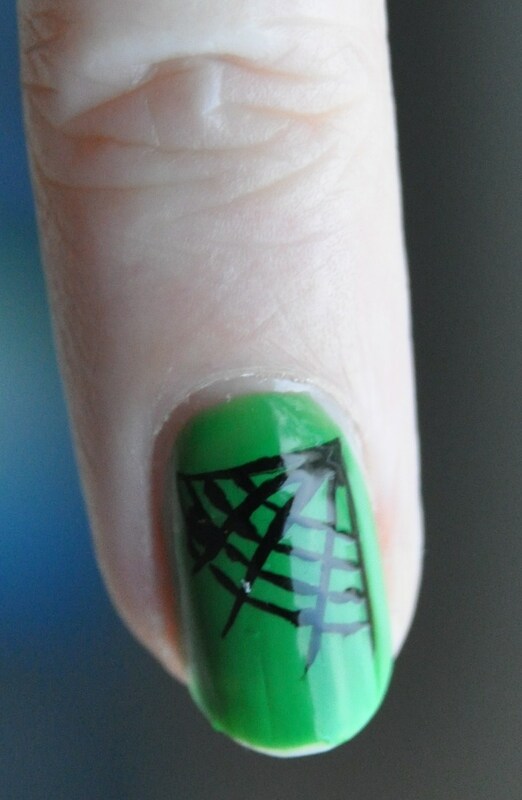 Here’s a manicure I did a little while ago. It was very striking. 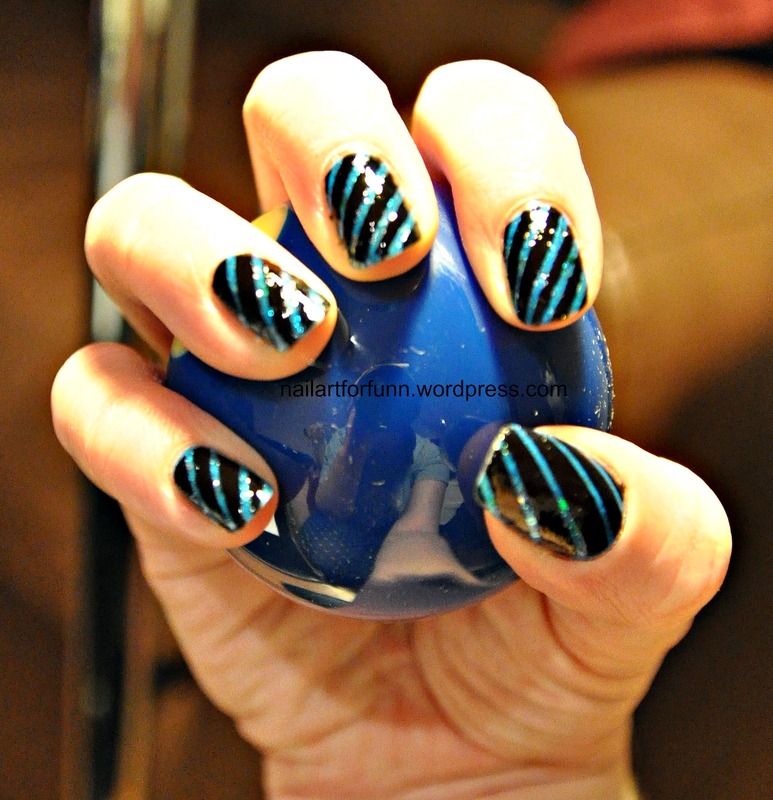 I used Revlon Radiant Blue Mosaic as my base and Sally Hansen Black Out as the upper coat. I smoothed it all out with OPI topcoat. Hope you like! 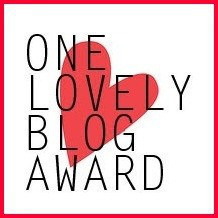 If you do share the love! 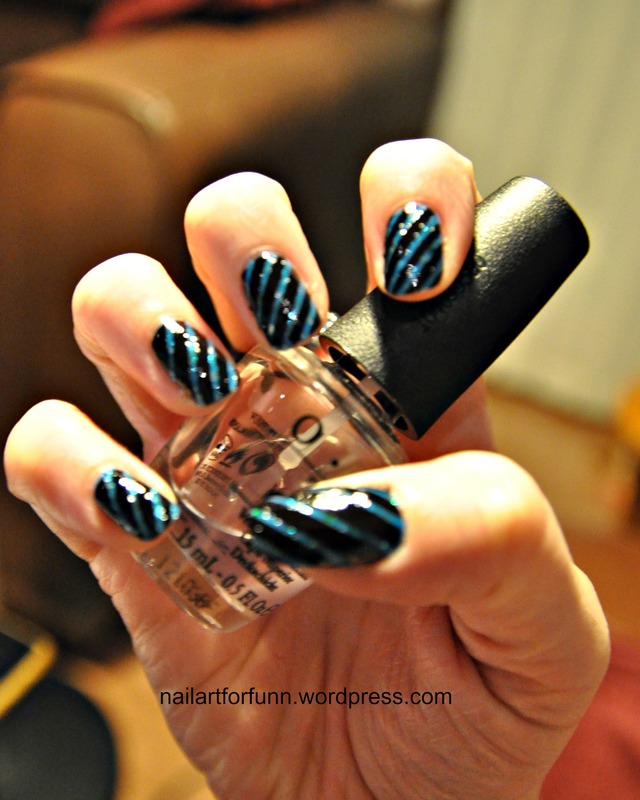 Categories: Glitter, Stripes | Tags: beauty, Black, Blue, blue mosaic, nail art, OPI, Revlon, Sally Hansen, Striking, stripes, Striping Tape, tape, topcoat | Permalink. 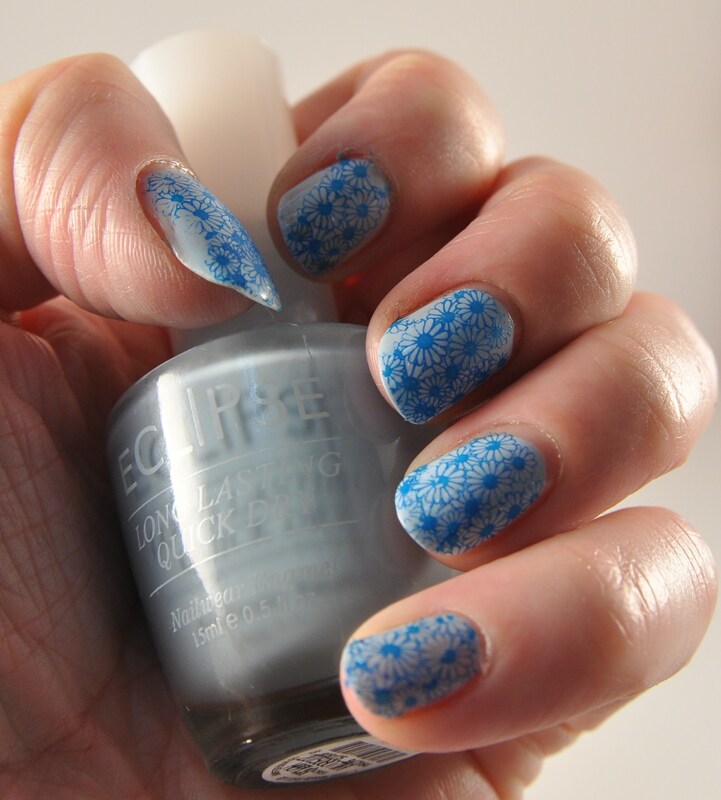 This polish is great simply because it really pops. 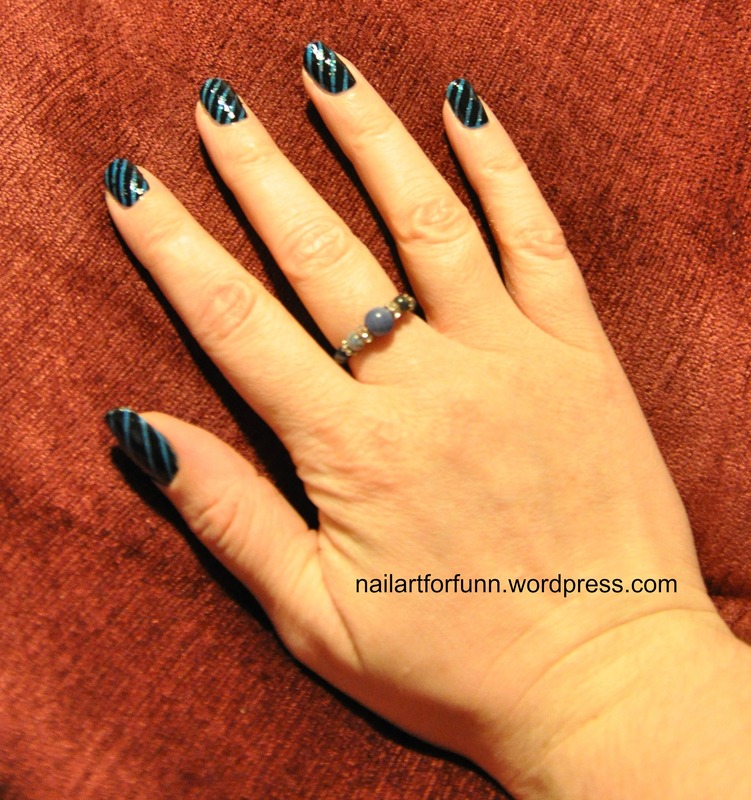 I’m not a huge fan of blue polish but even I was impressed with this one. I couldn’t figure out what made it different until I looked closely. 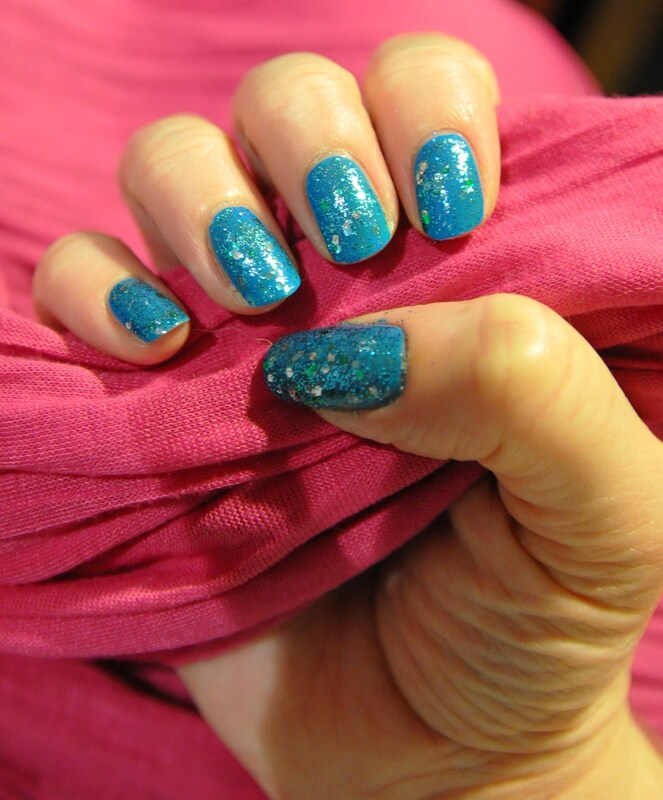 This polish is loaded with fine light blue glitter throughout it. 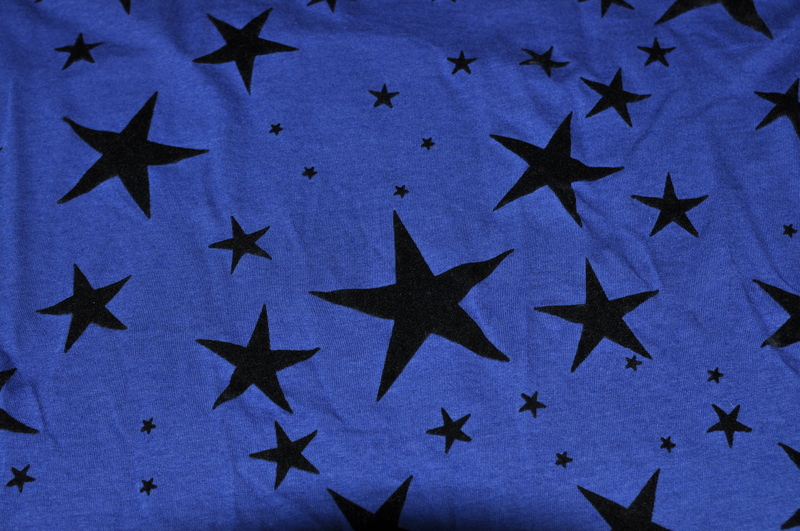 It also has larger white, light blue and green hexagon shaped glitter pieces in it. It’s the green pieces that I think really make it pop. 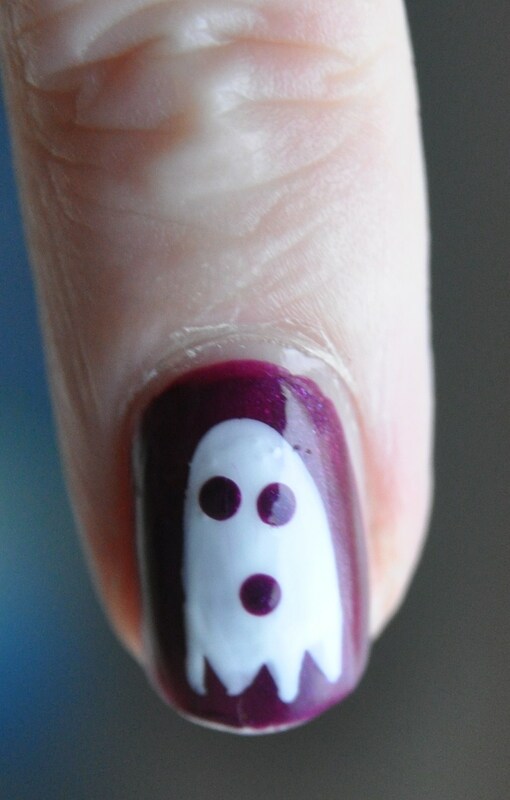 I only needed two coats of this polish and it doesn’t chip easily. 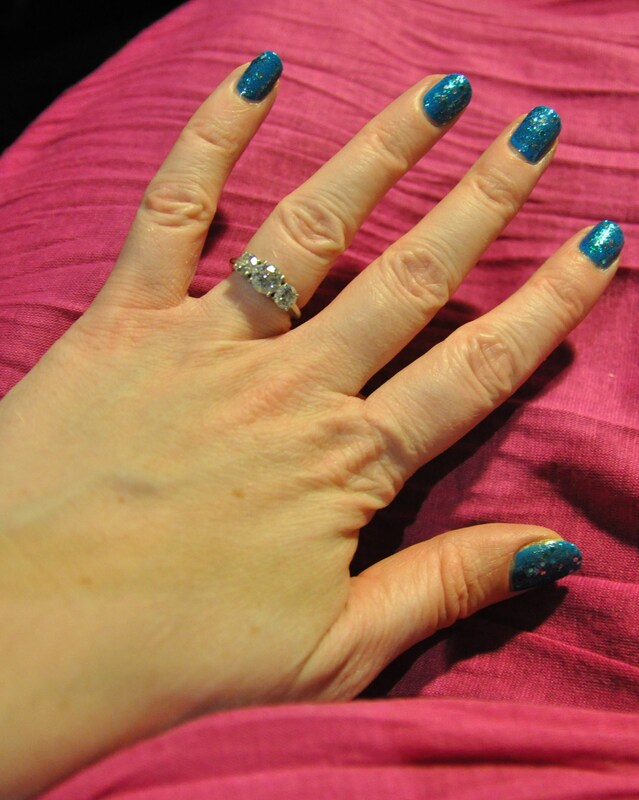 Plus, even though it’s loaded with glitter it doesn’t feel grainy on my nails. 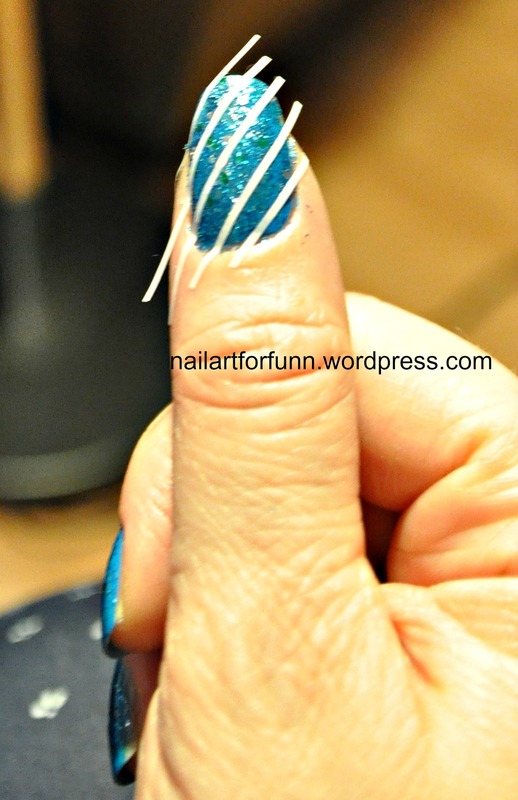 Topcoat is still advised for a shiny look though. 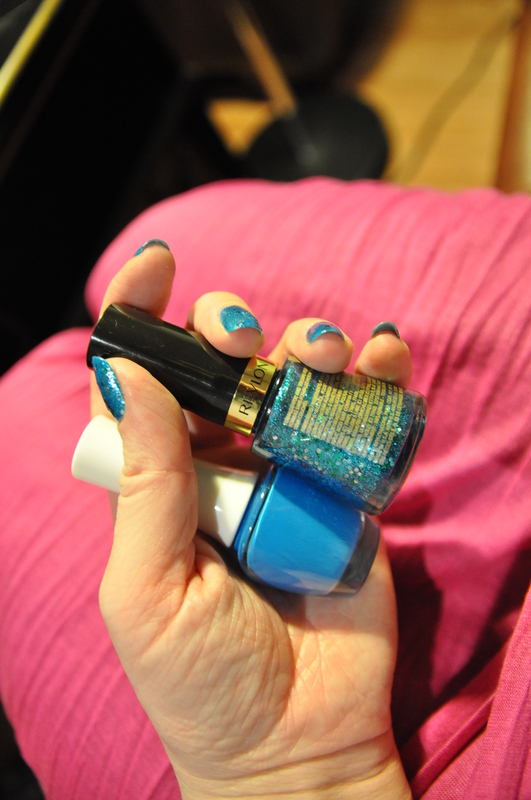 Categories: Glitter, Swatches | Tags: Blue, glitter, Nail Enamel, Revlon, Sparkle, Swatch | Permalink. This look was inspired by a top I own. I wanted my nails to match it. I normally don’t do that but this time I did! 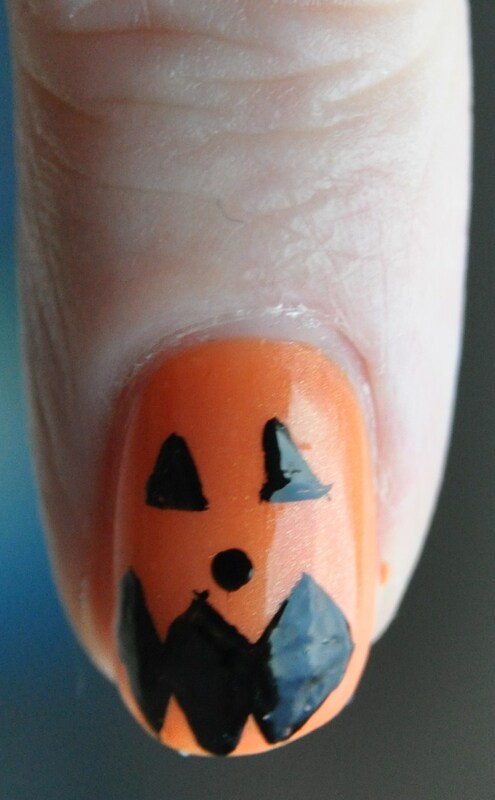 Here’s what I used for this manicure. 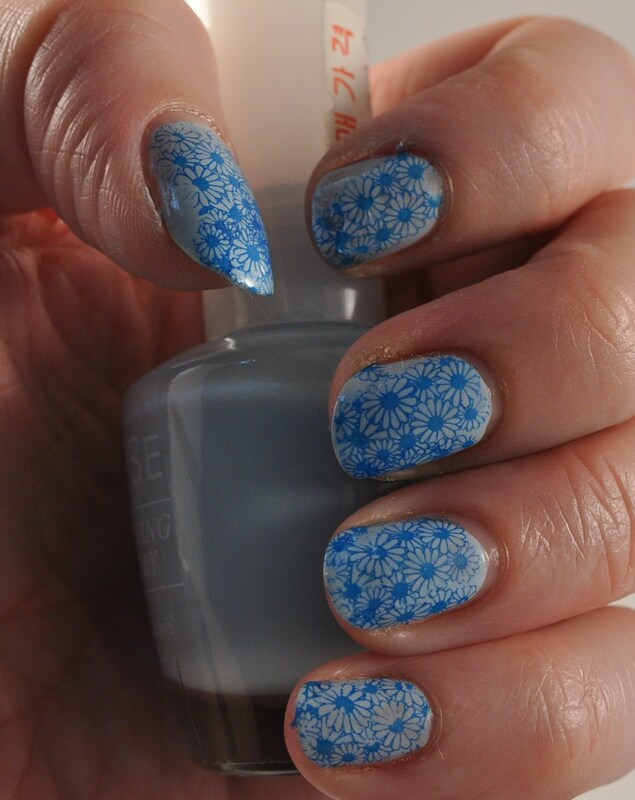 The base coat is Etude House (Korean brand) the white is Konad stamping polish and I finished it with OPI topcoat. 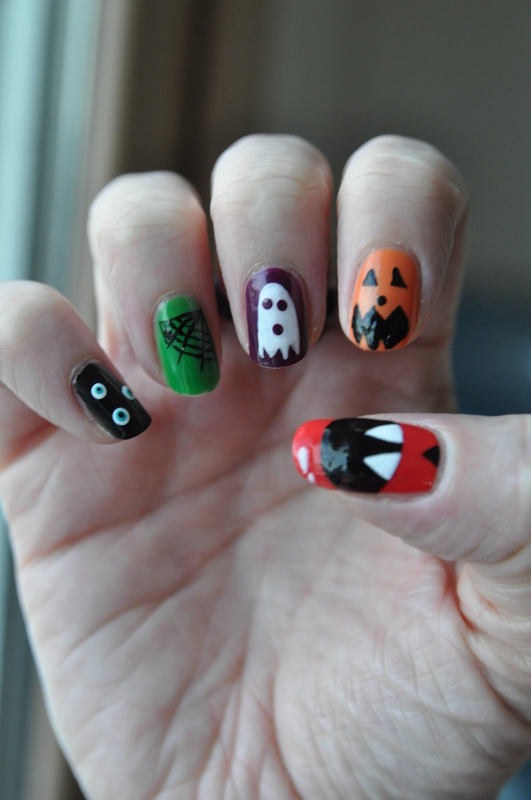 Also, I used some nail art stones! 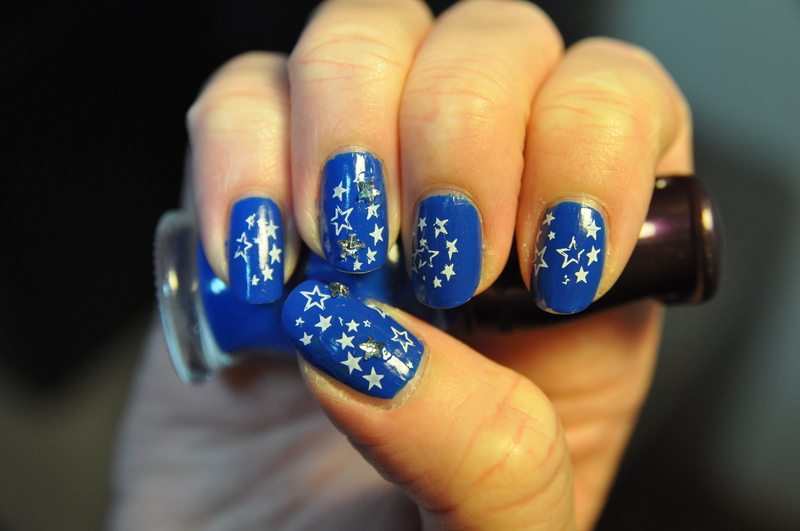 Categories: Stamping | Tags: art, beauty, Blue, Konad, nail art jewels, OPI, Stamping, stars, White | Permalink. Lots and Lots a Dots! 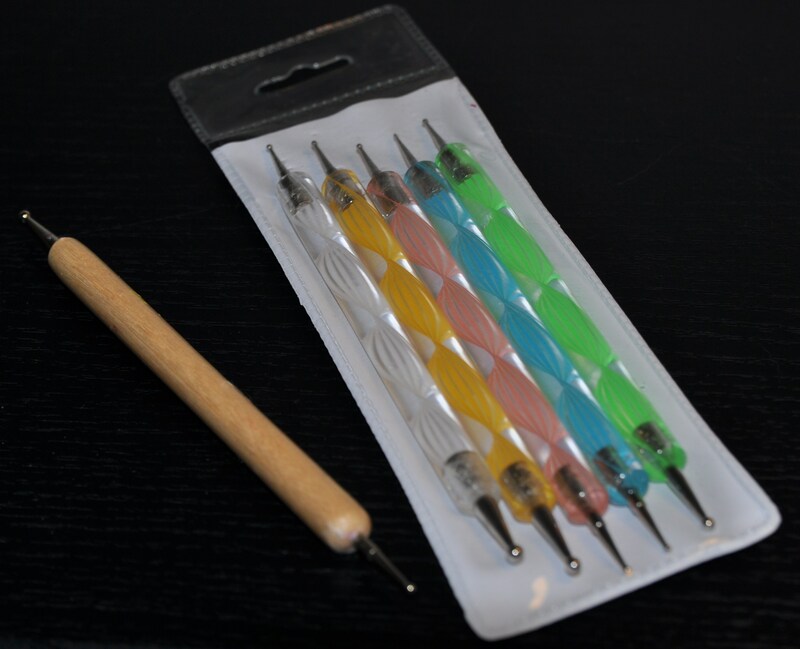 Dotting is one of my favourite nail art styles, mainly because it was the first nail art tool I bought. Also, because it’s so easy to do! 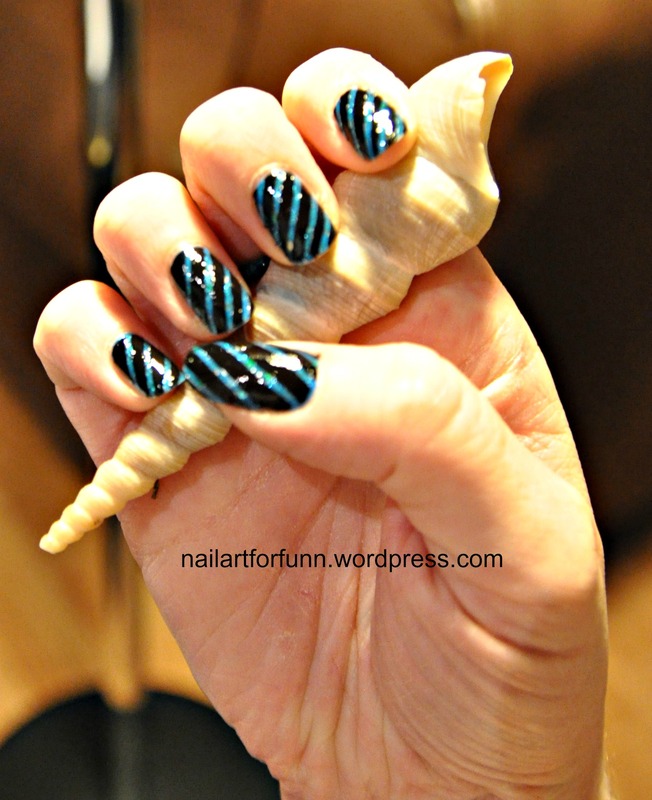 I especially love this manicure because of the contrasting colors. 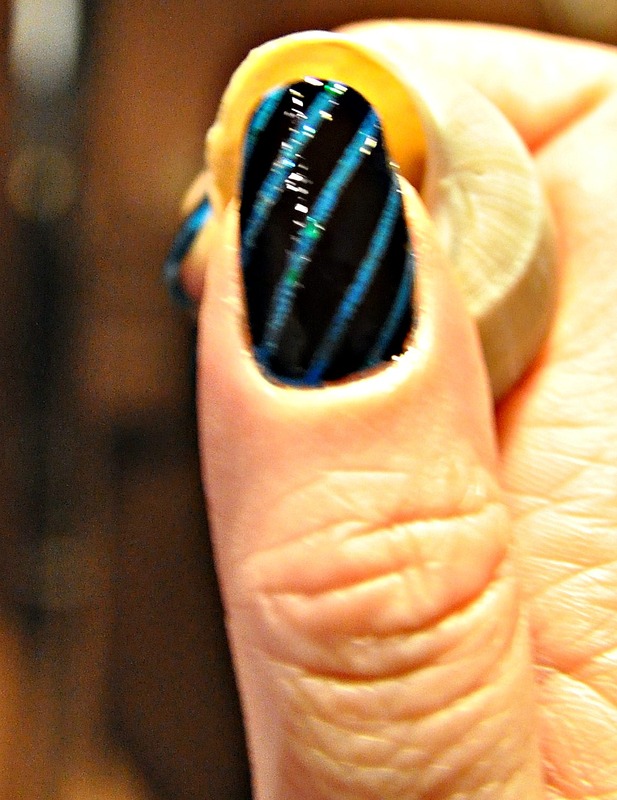 For this mani I used Sally Hanson Hard as Nails Xtreme wear ‘Black Out’ & ‘White On’ the blue was a Korean brand polish I picked up in a beauty store. 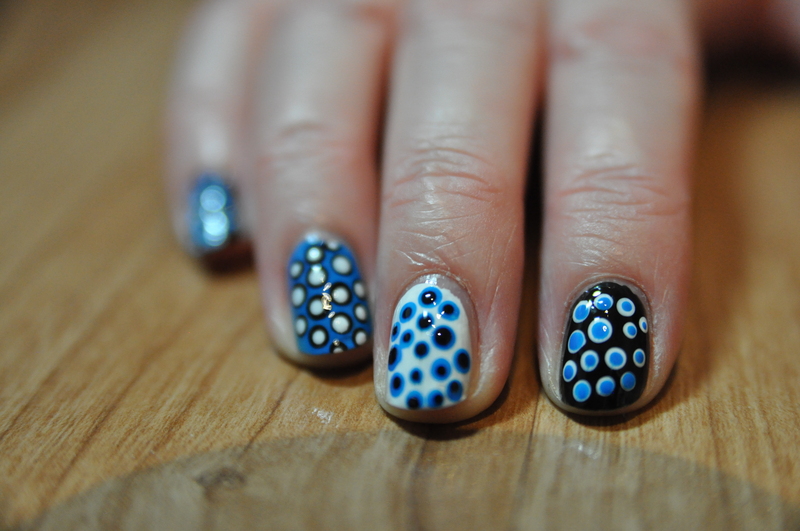 Categories: Dotting | Tags: beauty, Black, Blue, Dotting, White | Permalink.